Prior to the Franco-German Armistice, the M.S.412, an improved version of the M.S.406, was under development primarily to fulfil a Swiss requirement. 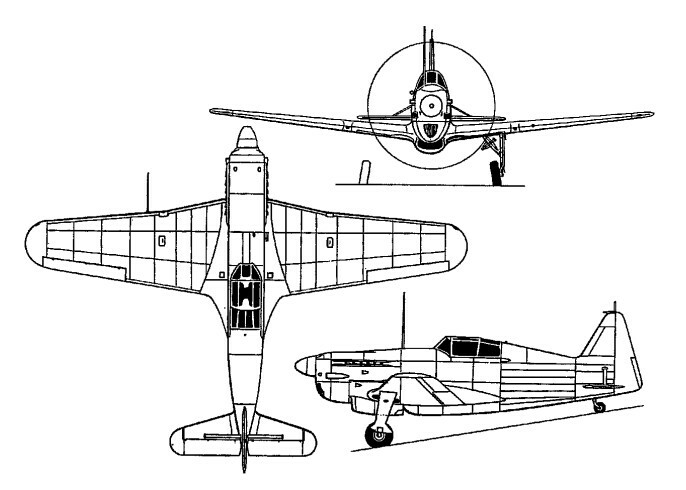 As an interim development aircraft, the twelfth pre-series M.S.405 had been fitted with the more powerful Hispano-Suiza 12Y45 engine and flown as the M.S.411, but a prototype of the M.S.412 with the still more powerful HS 12Y51 engine was not completed in France, the programme continuing in Switzerland as the D-3801. Flown for the first time in October 1940, the D-3801 had an HS 12Y51 rated at 1,050hp for take-off, a fixed radiator bath similar to that developed for the M.S.410 and the same armament as that of the D-3800. Although protracted teething troubles were suffered by the Saurer-built HS 12Y51 engine, series production of the D-3801 was undertaken by the Eidgenossisches Flugzeugwerke, the Dornier-Werke AG (Doflug) and SWS, deliveries commencing in 1941 and continuing until 1945, and a total of 207 being manufactured. These were augmented by a further 17 built in 1947-48 from spare assemblies remaining from the main production run. After withdrawal from first-line service, some D-3801s remained in use as advanced trainers and target- tugs until 1959.